By Nancy Badertscher on Tuesday, June 2nd, 2015 at 12:00 a.m.
Facebook posts on Saturday, July 20, 2013: The very first meal on the surface of the moon was the Holy Communion. Occasionally a claim comes across our desks here at PolitiFact Georgia that seems to touch all bases -- this one has God, politics and even men landing on the moon. The viral Facebook post said: "Not many people know it but on July 20, 1969, Buzz Aldrin took communion on the moon.The very first meal ever taken on the moon was the blood and body of Christ!" We had heard about astronauts partaking of freeze-dried food and dehydrated drinks. And we knew about the Apollo 8 crew on Christmas Eve 1968 reading from Genesis while orbiting the moon, an event heard by millions. But the Holy Communion claim was new to us. We decided to do some exploring..
Several sources, including NASA records and Aldrin’s memoirs, include accounts of the Communion service. PolitiFact also discovered that Aldrin’s church, outside of Houston, still celebrates the lunar Communion service each year on the Sunday closest to the July 20, 1969, moon landing. We rated the Facebook Communion claim True. A viral claim making the rounds on social media conjures up images of babies bouncing around in mail bags and wayward teenagers being stamped and shipped "special delivery" to Grandma and Grandpa down on the farm. "In 1913, it was legal to mail children," the Facebook post says. It even shows photographs of a couple of "mailed" children. But is it true? 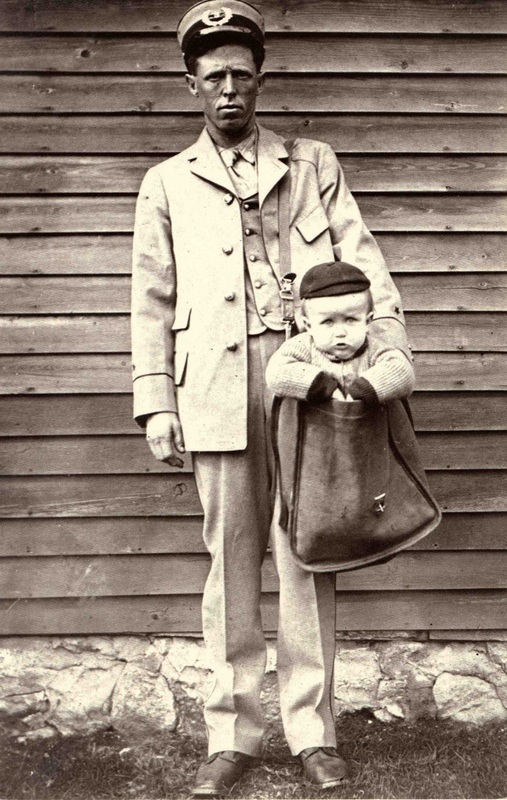 Was it legal in 1913, or at any time, to mail children? Nancy Pope, a historian and curator at the Smithsonian National Postal Museum in Washington, said no more than a handful of children were mailed after the parcel post service was created in 1913. The law at the time didn’t specify that it was illegal to mail children, but officials say no one had envisioned a situation where that had to be spelled out. When there was evidence that children were indeed being mailed, the postmaster general sent a memo in 1914 barring human beings from postal delivery. Since the practice was never legally sanctioned, we rated the Facebook post Mostly False. The federal government regulates the holes in Swiss cheese. Georgia Congressman Lynn Westmoreland offered this up in a press release after voting for a bill aimed at examining the impact of government regulation on jobs and economic growth. "Over the last two years, the federal government has gotten out of control," he said. "I mean, the government actually regulates how large holes in Swiss cheese can be. That’s just absurd. More government does not mean better government." Does Uncle Sam really regulate the size of the holes in Swiss cheese? PolitiFact Georgia found that it does, in a way. "This is a voluntary program for Swiss cheese standards, which was created at the request of cheese makers and buyers that is paid for by industry, not government," USDA spokesman Michael Jarvis said. This is regulation the cheese industry seeks -- not regulation foisted upon it. We rated the congressman’s claim as Half True. Mike Adams on Tuesday, Feb. 10, 2015, in a story making the rounds on social media: Mercury is used in vaccines, and there is no safe level of mercury. With a measles outbreak sprouting in 14 states, and Georgia reporting its first case in almost three years, vaccine opponents revived claims about the dangers of vaccines against the disease in newsfeeds across the country. A Facebook post revives a 2012 story that purports to list "10 outrageous (but true) facts." It includes the claim that helped spur the anti-vaccination movement, despite being repeatedly debunked: Childhood shots contain mercury, a powerful neurotoxin with no safe level of use. "Doctors who inject children with vaccines are delusional," Mike Adams says. "They are practicing a medical holocaust against humanity." How could PolitiFact Georgia resist checking this? Adams declined to be interviewed but referred us to studies on his website, most of which deal with the effects of methyl mercury. That is a very different chemical from ethyl mercury, a component in the vaccine preservative thimerosal. The Atlanta-based U.S. Centers for Disease Control and Prevention, aware of the controversy and confusion, lists all ingredients in childhood vaccines for review. MMR, the vaccine making headlines now, never contained thimerosal. Neither did the shots for chickenpox, polio or others. Thimerosal, remember, was designed to prevent bacterial growth with repeated entry into a vial. The series of shots recommended for childhood immunization does not include the ingredient singled out as the problem. Greg Morris on Thursday, March 13, 2014, in an article: You can buy lobster with food stamps. Before a Senate committee, state Rep. Greg Morris, R-Vidalia, was battling for a bill he authored that would require food stamp recipients to be drug-tested. Morris was asked why no one else spoke in favor of his legislation. "What lobbyists are there for just the average worker who’s a taxpayer?" Morris said. "They’re economizing and buying inexpensive cuts of meat when with (food stamps) you can buy lobster." Our research found that the U.S. Department of Agriculture has no restrictions on food stamp recipients buying luxury items such as steak and seafood. They also can buy food and soft drinks that are less nutritious, such as ice cream. Alcohol, beer, cigarettes and wine are prohibited. Live animals are off the list as well. A Fox News video shows a participant in the food stamp program, officially known as the Supplemental Nutrition Assistance Program, or SNAP, buying lobster. The man said he does that only when it is on sale. How rare such purchases are by food stamp recipients no one knows. But they are possible, as Morris said. We rated this statement as True. Facebook Web post, Jesus Loves You.org, "Communion on the Moon"
IMBD, "From the Earth to the Moon"
NASA history, Chapter 8.4 "Apollo expeditions to the moon"
Phone interview with Nancy Pope, historian and curator at the National Postal Museum in Washington, D.C.
Snopes: "Photographs show children sent through the mail," Rated it a mixture. "Very Special Delivery," Nancy Pope, historian and curator, Smithsonian’s National Postal Museum Blog, February 19, 2013. ABCNews.com, "Unhole-y Culmination of Swiss cheese debate"
Pediatrics Journal, "Prenatal and infant exposure to thimerosal from vaccines and immunoglobulins and risk of autism," February," September 2010. The Atlanta Journal-Constitution, "Georgia Legislature looks again at linking assistance, drug testing," March 12, 2014. Fox News Channel "Insider Report" on Jason Greenslate, Aug. 10, 2013. Information about Georgia House Bill 772. Salon, "Hipsters on food stamps," March 15, 2010. Supplemental Nutrition Assistance Program participants and costs chart, March 7, 2014. Supplemental Nutrition Assistance Program eligible food items. Supplemental Nutrition Assistance Program summary of Implications of Restricting the Use of Food Stamp Benefits, March 1, 2007. USDA study of dietary quality of SNAP recipients, April 2013. The Washington Post, "Jon Stewart rips Fox News again over entitlement obsession," March 14, 2014.